Yesterday the 2013 Newbie Blogger Initiative officially kicked off and the new blogs are starting to trickle into the forum. Yesterday I updated my blogroll to include the five blogs that had signed up to date, and over the night another two have joined the fray. Here is hoping that the effort will continue to grow throughout the month. Last time we ended up with I believe 110 new blogs starting the process, so we have a long ways to go before we see those numbers. Check them out and give them some link love. Similarly, yesterday kicked off quite a number of “advice” posts from the sponsors. Like always these varied in topic greatly covering general tips, where to find inspiration, and various technical tidbits. I am sure in the coming days we will be seeing a lot more of these posts but so far here is the run down of topics that were posted as of this morning. Bio Break – Where Do You Come Up With All Those Wonderful Ideas? Tales of the Aggronaut – So You Want to Blog? I am sure as the month rolls on, we will see quite a few more sponsor posts as well. I think for the first day, the program was pretty well represented. My goal is to do a short daily synopsis of what all has been happening on the days I am not posting an advice article myself. A few days ago I had posted about the fact that October 1st was the beginning of the ability to create a free Heroic Character in Everquest 2. Most of us initially thought this was for subscribers only… or in EQ2 nomenclature “Gold Members”. However yesterday Stargrace of MMO Quests pointed out that ANYONE can log in and create a free level 85 character during the October 1st – October 15th period. Additionally they have once again tightened the reins of the free to play restrictions. Previously it was extremely frustrating to play a free to play character, because you could not equip Legendary or higher items… which meant that essentially you could not equip anything that came from a dungeon or most world drops. With the introduction of Heroic Characters, all of these item locks are gone… as are the various items that were sold on the store to unlock the ability to equip them. Additionally as of yesterdays patch… much like they did in the past with other expansions… Destiny of Velious is now included for free. This gives you access to content up to level 95, and covers all of the newer zones added into the game. They have also broken up the Age of Discovery features into bite sized chunks that allow you to gobble up only the pieces you want, for example you can buy access to mercenaries only, or just the beastlord class. Since they are removing some of the appeal for remaining a gold member, they have added in a permanent +15% coin loot bonus and +10% mount speed bonus to all existing gold members. They have also mentioned they will be adding more perks into the equation to keep maintaining gold level a valuable thing. Wanting to take advantage of the free promotion, I logged in both of my accounts last night and created and or upsized characters on each. For some time I had been trying to level a dps character on my main account, and had created Belgrifter a Ratonga Swashbuckler. Namely the Swash is a very high survival dps, and I was having a decent time leveling him. Ultimately I ran into the same roadblock I ran into with all of my characters however. 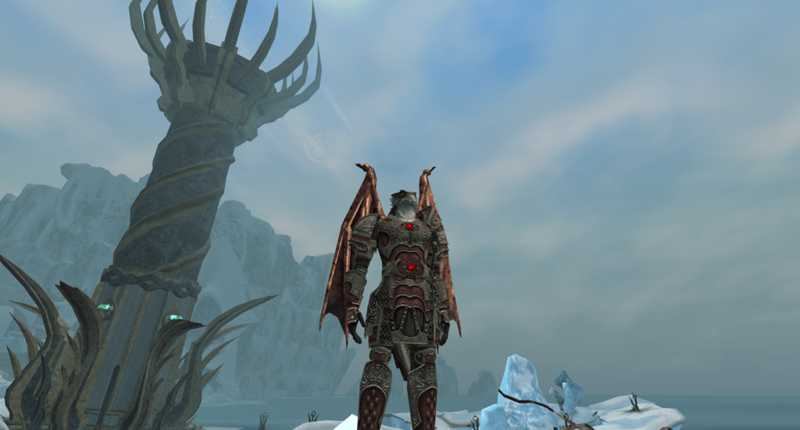 Once you have had flight in EQ2, you simply do not want to level a character without it. So essentially I was stuck with a decision… either grind up tradeskills or grind up levels. I managed to push him up to 55 before something shiny caught my eye and I abandoned the effort. Since I could not really see myself returning to playing him until I had flight… I decided to go ahead and use that accounts token to super size my Ratonga. The gear that they give you is extremely nice… far nicer than the gear I have ever started velious content in before. I seriously doubt if I will replace any of it during the Othimir quests, it seems to be on par with that level of item. The weapon choices were a little wonky, giving me a sword and a mace… but I can live with that. The big problem is I have NEVER used a mace on my rat… but they auto leveled all of my weapon skills for me… so that really is not a problem. If you look at the image from the above paragraph you will see Belglaive my new 85 Iksar Bezerker. On my second account I mostly had support classes, as I used to regularly dual box before the release of Mercenaries. As a result I really did not have anything “tanky” on that account. If I ever wanted to dual box again, I figure it would end up extremely handy to have access to a tank, and Bezerker is the one I have never really played to high levels. I have a very small dwarven one on my main account, but I think he is somewhere in the 30s. The best thing is… the changes give me full access again to my Dark Elf Warden, since I had stopped playing him due to the item restrictions and not wanting to maintain a second subscription. The ability to create a free level 85 character is an extremely amazing offer. If you have ever considered playing EQ2, I highly suggest you make an account during the 1-15 period and create a level 85 even if you do not intend to play it right now. You can do a lot of cool stuff with an 85, and even use it to feed lower level characters items. 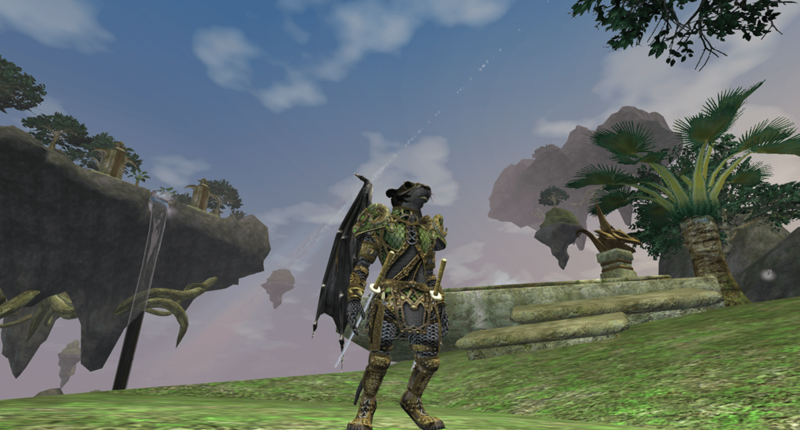 I have always loved EQ2, and I will admit the prospect of fresh high level characters has gotten me pumped about playing it some again. Just not sure how often I will do so… given my current addiction to Final Fantasy XIV. If you do end up rolling characters, I highly suggest Antonia Bayle the Roleplaying server. It has probably the best community I have seen in any game… other than potentially Landroval in LOTRO.